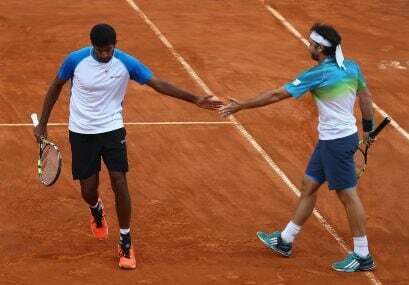 Paris, France: Sixth seeded Indo-Romanian pair of Rohan Bopanna and Florin Mergea entered the French Open men's doubles quarter-finals with a three-set win over the Marcus Daniell and Brian Baker at Rolland Garros on Sundya. 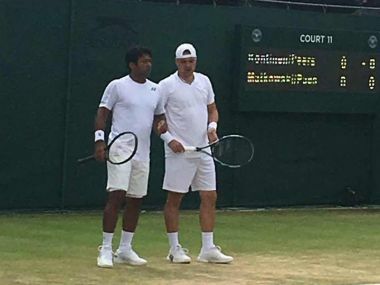 Bopanna and Mergea did not lose serve even once as they won 6-2 6-7 (4) 6-1 against the unseeded New Zealand-American combination of Daniell and Baker. The opening set was a stroll for the sixth seeds, who broke their rivals twice and held serve effortlessly to grab the initial edge. However, Daniell and Baker clawed back in the second set by saving three break points and drastically improving their first serve. 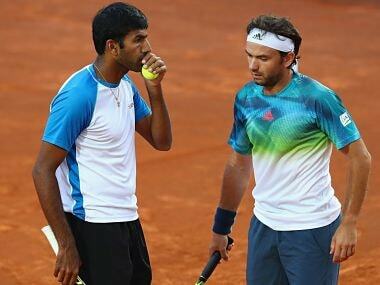 The set eventually went into a tie-break, which Daniell and Baker clinched to draw level in the match. 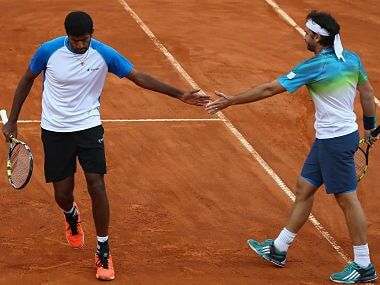 But the fightback did not last in the third set as Bopanna and Mergea broke them twice and returned rather well to emerge triumphant. 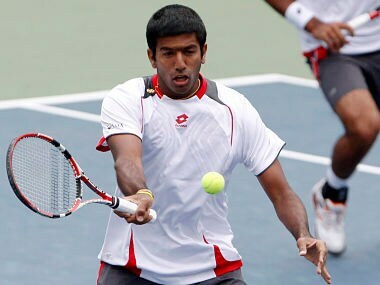 Bopanna and Mergea will next face the winners of the match between third seeds Ivan Dodig and Marcelo Melo and Chris Guccione and Andre Sa.